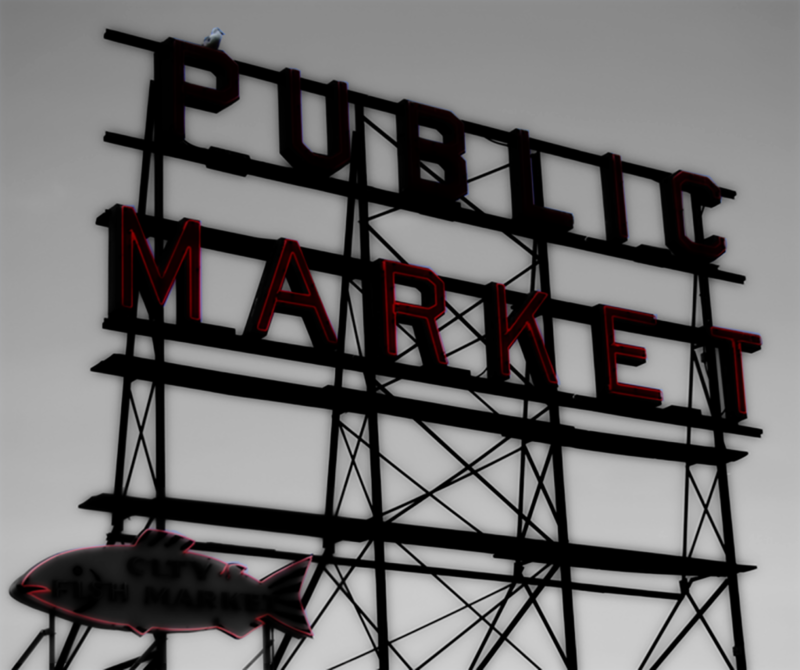 Pike Market Seattle – Since 1963. Photo of Seattle’s Pike Place Market marquee. | 2008.